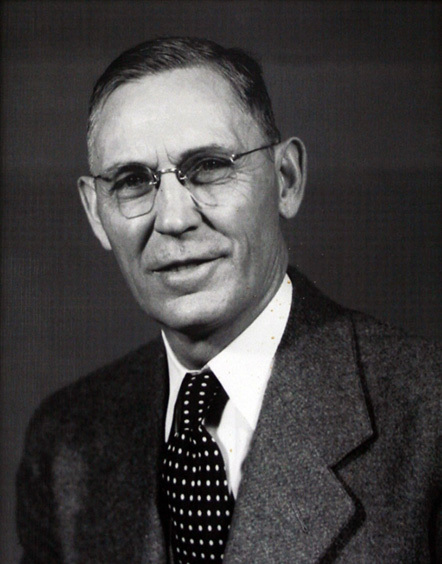 Durham County native George F. Kirkland, Durham County’s longest serving county commissioner, served a total of 32 years on the board, from 1936 to 1968. After Robert L. Brame withdrew from politics in 1952, Kirkland assumed the role of chairman. Much was accomplished during his tenure. Kirkland was proud of the role the board played in the county’s development, viewing the zoning act, which made Durham the first county in the state to adopt comprehensive county zoning, as one of his greatest accomplishments. The Durham County Memorial Stadium and the courthouse annex were erected during his tenure, and facilities in the first phase of the long-range sewage treatment plan were built. A personnel classification and pay plan and retirement system were initiated for county employees, and teacher salary supplements and routine capital expenditures for the schools went into effect. Fire protection was extended to rural areas; a County Department of Hospitalization was established, which administered medical care to the county’s indigent population; and the county assumed the title to Lincoln and Watts hospitals and constructed new additions to both. The county also assumed full financial responsibility for the operation of the Health Department, the Juvenile Court, Recorder’s Court, and the jail.